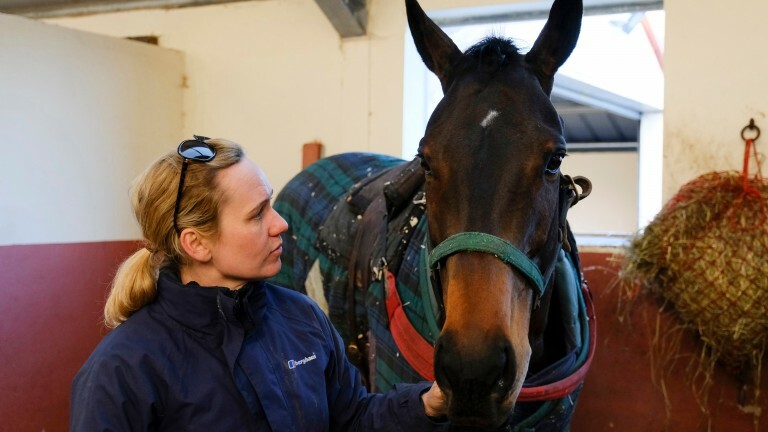 Ruth Jefferson will put her Christmas Day celebrations on hold to drive leading 32Red King George VI Chase contender Waiting Patiently on a five-hour journey from Malton to Kempton in the hope of pulling off a great training feat with a horse making his first start for ten months. The turkey and trimmings will have to wait as the multi-tasking trainer, who took over the running of Newstead Stables following the death of her father Malcolm in February, has her eyes on the most treasured Christmas present of all. “My Christmas Day is going to pan out as follows – get up, muck out, feed, pack up the wagon and go to Kempton,” said Jefferson, who has happy memories of Boxing Day having led up Dato Star for her father when he won the 1999 Christmas Hurdle. Waiting Patiently, unbeaten in six starts over fences, has not run since beating Cue Card in an epic duel for the Grade 1 Ascot Chase in February, but despite his lengthy absence he is second favourite for the King George at a best-priced 6-1 – behind only last year’s winner Might Bite. Jefferson believes the Richard Collins-owned seven-year-old will be suited by stepping up to three miles for the first time and it is all systems go for Kempton, providing the ground conditions are not extreme. “We’ve thought the race would suit for a while and we’d like to have a go and learn more about him,” said Jefferson on Monday. “The King George is Plan A and we’ll stick to Plan A as long as we can. Ideally we’re looking for ground on the slow side of good – he just doesn’t like it too quick – and as long as it’s safe we’ll let him take his chance. Waiting Patiently is appropriately named as he has raced only nine times since making his debut in 2015. 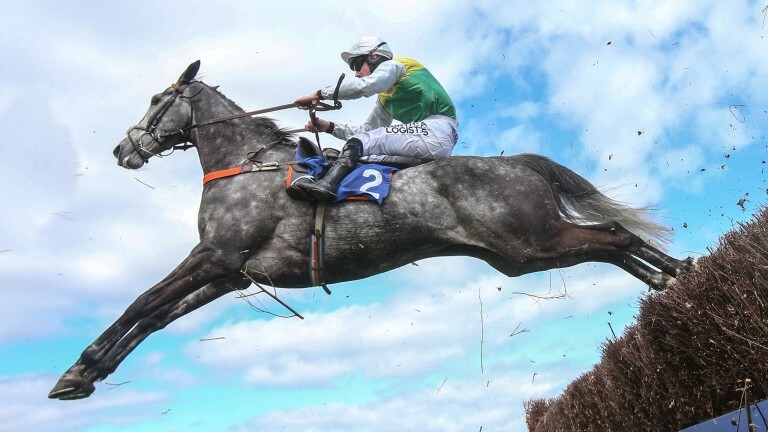 A tendon injury ruled him out of Aintree in the spring but he has been given plenty of time to come right. “I don’t know whether you’d call him fragile but he takes a lot out of himself in a race and maybe does not take a lot of racing,” said Jefferson. 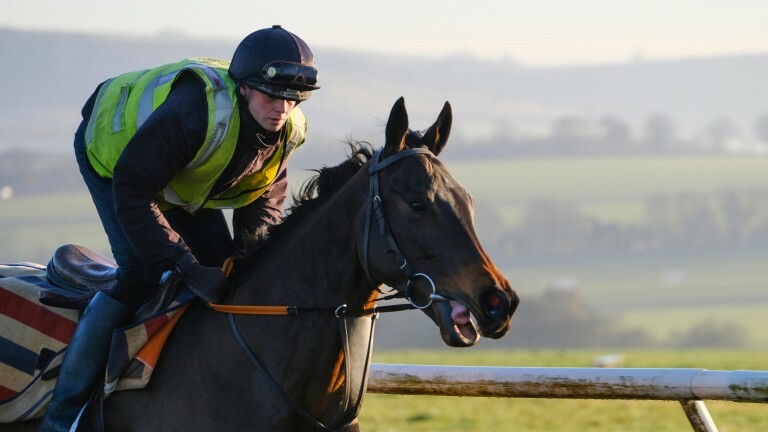 Waiting Patiently, who jumped four fences under big-race jockey Brian Hughes after racing at Hexham last week, continued his King George preparations by working over six furlongs on the all-weather gallop in Malton on Monday morning. Hughes is a perfect six from six on Waiting Patiently and his knowledge of the horse could be a crucial factor in what is shaping up to be an open race. She has only held a licence for ten months but Ruth Jefferson is already well accustomed to the highs and lows of training. Assistant trainer at her family’s Newstead Stables in Malton for 15 years, Jefferson took over the reins following the death of her much-respected father Malcolm in February. She quickly made her mark, claiming an emotional Grade 1 victory with Waiting Patiently in the Ascot Chase – just a day after her father’s funeral. However, the seamless transition was interrupted during the summer after three of the stable’s leading lights were moved on to other yards with Cloudy Dream and Mount Mews sent to Donald McCain and Cyrus Darius joining Colin Tizzard. Jefferson has responded to those blows with 13 winners from 56 runners this season, at a highly respectable strike-rate of 23 per cent. On the flip side, Waiting Patiently’s owner Richard Collins has increased his horses at the yard to four, while The Mount Fawcus Partnership have spent big sums on Buster Valentine and Mega Yeats. An interesting aspect of Jefferson’s short tenure – and one that bodes well for Waiting Patiently’s Kempton bid – has been her ability to win with horses returning from a break.